Come join us for a taste of delicious Extra Virgin Olive Oil and Balsamic Vinegar at the beautiful Hart’s Local Grocer. Hart’s is celebrating two years at their Rochester location and has set up a wonderfully fun event that gathers great vendors for your food and drink pleasure. Come hungry and enjoy an afternoon of fun in Rochester! This entry was posted in and tagged Balsamic Vinegar, culinary, EVOO, local, market, tasting on September 24, 2016 by Zack Fisch. the finest, freshest culinary goods in the area. Get the family together and come down to this wonderful, FREE event. This entry was posted in and tagged Balsamic Vinegar, EVOO, farmers market, Foodie, tastings on September 20, 2016 by Zack Fisch. The Festival of Food will feature more than 100 restaurants, wineries, breweries, bakeries and specialty food purveyors all from the local area. 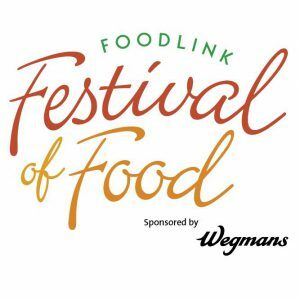 The Festival is the best and biggest food and beverage tasting event in the region. Located conveniently at the Rochester Public market, this event is sure to enthuse the foodie in you! This entry was posted in and tagged Balsamic Vinegar, EVOO, food festival, Foodie on September 19, 2016 by Zack Fisch. Preheat oven to 400 degrees Fahrenheit. Peel & cut sweet potatoes into 1-inch cubes. Place in large bowl. Cut Brussels sprouts in half & add to bowl. Add EVOO to the vegetables, season with salt and pepper & toss to coat. Roast for 15-20 minutes or until tender. Add balsamic vinegar & mulling spices to a small saucepan. Bring to boil over high heat, reduce to low & let simmer until reduced by half, about 10 minutes. Place vegetables in a serving dish, sprinkle with pumpkin seeds & drizzle with balsamic reduction. This entry was posted in Blog and tagged Balsamic Vinegar, brussels sprouts, cassis, EVOO, roasted, sage, vegetarian on November 1, 2016 by Zack Fisch. Place salmon in a re-sealable plastic bag. Add balsamic and EVOO and massage to thoroughly distribute onto salmon. Allow to marinate for at least one hour in the refrigerator. Preheat oven to 425. Prepare glaze by heating 2 tbsps. EVOO in a small saucepan over medium high heat. Add garlic and cook for 30 seconds. Add balsamic vinegar, Dijon and salt and pepper to taste. Let simmer, stirring often and watching closely until slightly thickened (about 5 minutes). Brush salmon with glaze and generously season with Adirondack Maple Seasoning. Roast salmon for 10-12 minutes on foil lined baking sheet or until salmon is cooked through. Drizzle with remaining glaze. This entry was posted in Blog and tagged Balsamic Vinegar, EVOO, October 2016, recipe of the month on September 30, 2016 by Zack Fisch.